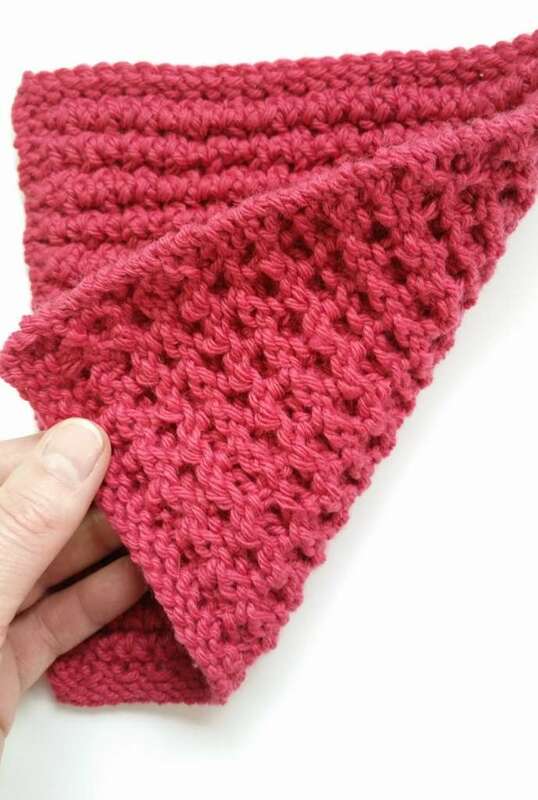 The other terrific thing about the Popcorn Stitch is that the back is lovely too! 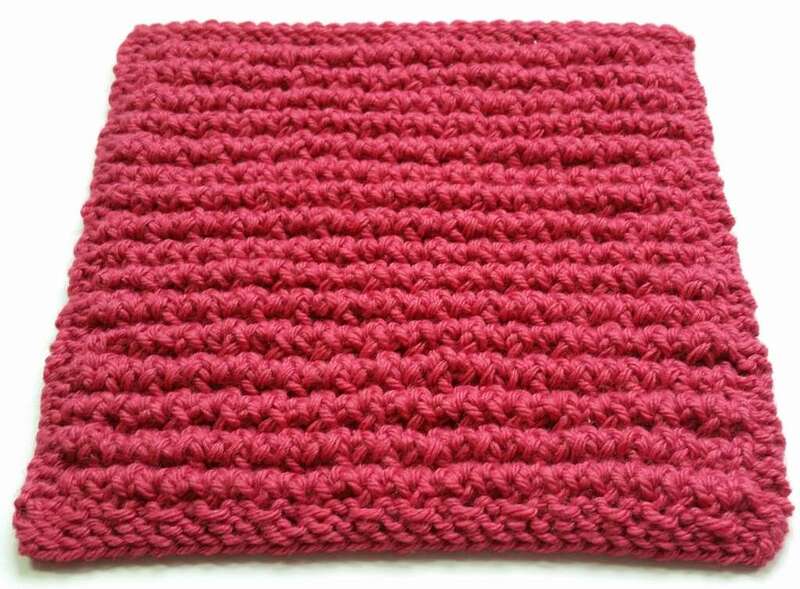 This makes the stitch perfect for scarves, blankets, and any type of project that could be seen from both sides. 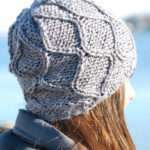 To work this pattern in the round such as for a hat, use the Main Pattern Rows directions, but simply work all stitches in EW, as there will be no need for extra border stitches. Make sure to also use an even number of pegs. For flat pieces of a greater size, simply increase the number of EW’s inside the Main Pattern Rows. You might also want to increase the number of rows/pegs used for the garter stitch top/sides/bottom to better match the new dimensions of the piece. This is what the stitch looks like in a small gauge. You could make the popcorn shapes more pronounced by increasing the number of pegs skipped in the Popcorn Rows A & B below. Working with every other peg starting at peg 4, look to the inside of the loom and count down 4 loops, starting with the loop directly at the back of the peg. Lift the 4th loop up and over the peg. 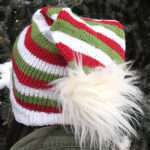 (This is very similar to the technique used in making the brim of a classic hat.) Continue with these same steps every other peg, to peg 30. Every even #’d peg between pegs 4 and 30 should now have 2 loops. KO all the pegs with extra loops. Working with every other peg starting at peg 3, look to the inside of the loom and count down 4 loops, starting with the loop directly at the back of the peg. Lift the 4th loop up and over the peg. (This is very similar to the technique used in making the brim of a classic hat.) Continue with these same steps every other peg, to peg 29. Every odd #’d peg between pegs 3 and 29 should now have 2 loops. KO all the pegs with extra loops. Rows 14-83: Repeat Rows 4-13, including Popcorn Rows A & B. Rows 84-86: repeat set up Rows 1-3. The “Set up rows” were confusing me. I assume rows 1 and 3 are p32 not p3. Is it possible to expand on the description of the main pattern? I just cannot visualize it for some reason. I just re-read the Main Pattern Rows and am not really sure how I could expand them…is there something in particular I can help you with? I posted a question earlier, I’m not sure where it went so I will ask it again and hopefully find the answer this time. When I was learning to loom knit about 6 months ago the instructional I had showed me to cast on and knit in a counter clockwise direction. Because of a disability this is comfortable for me. I find going in a clockwise direction confusing. That said under standard knitting practices for knitting in the round one would read a pattern all rows from left to right. 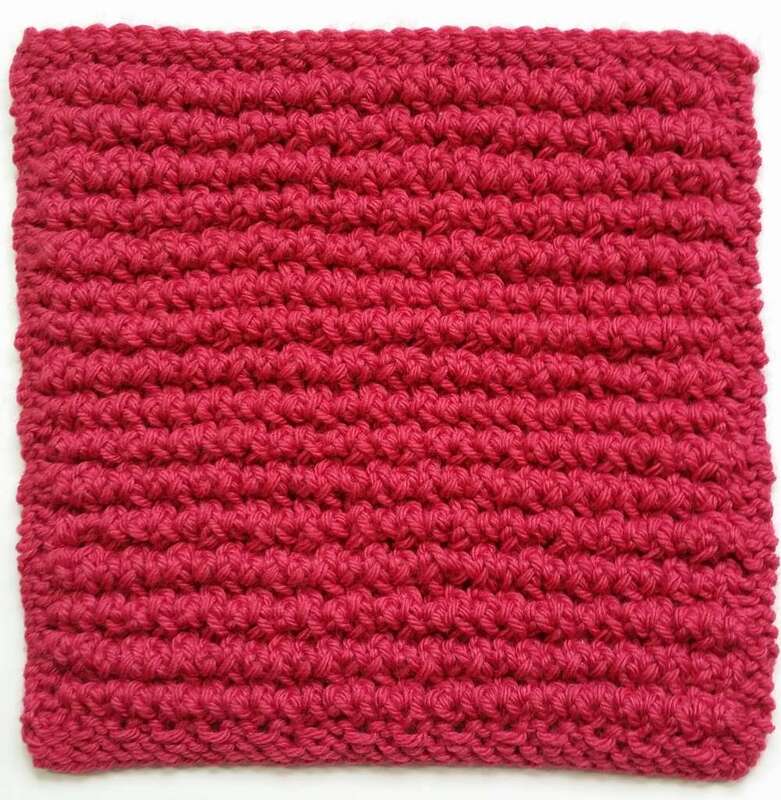 Will the pattern turn out the same if it is reversed (reading the pattern all rows from right to left) for a counter clockwise knitter? Good question! The answer is possibly not so simple. 😉 I can’t answer definitively one way or the other, because it would depend on the pattern being transposed. First of all, I will say that when reading my Stitchology charts, you would read them in a right to left direction. If you are going to be working them in the round, you would still read them from right to left. If the pattern is a completely symmetrical one, then yes, you could read the charts from left to right with no difficulties. I think, though, that it is possible that some of the instructions might get confused if you tried to do this, which is why I say it’s not a universal fix. 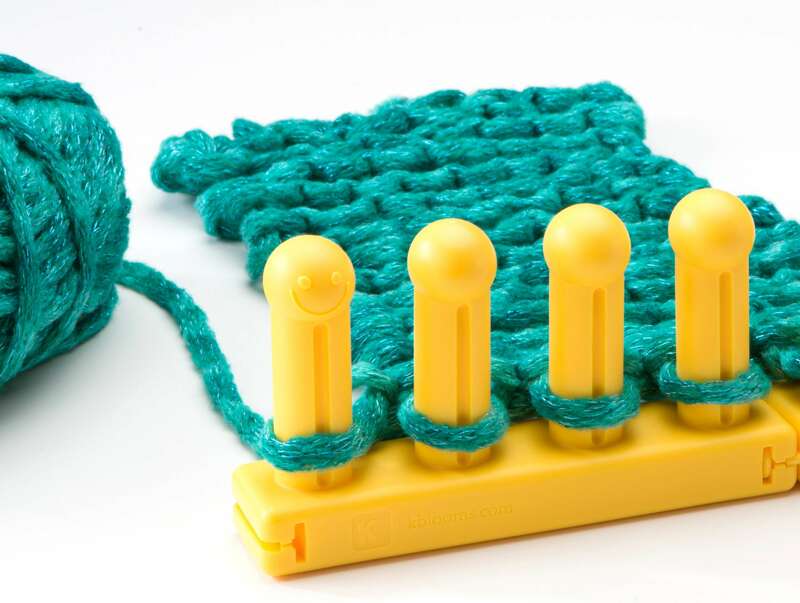 I am a left handed loomer, which means that many times I do not find it comfortable to knit in the directions that patterns state for me to go. In this case, as in the case you are in with the Stitchology patterns, I would simply continue to follow the instructions, but my peg 1 would be my own peg 1, my peg 2 would be my own peg 2…etc. In this way, I simply transpose the instructions in my mind, leaving me free to knit in whichever direction I like. So, if a chart reads from right to left, but I like to go from left to right, I would read the chart the way it was written, but would just place the stitches going the other direction. No changes would be made to the written instructions, so no problems would occur. And thank you. Yes it does make sense. I believe what you are saying is essentially that it wont matter if i knit in a counter clockwise direction (left to right) as long as I read the pattern from right to left. So to save problems I will have to write out the pattern so as not to get too confused. I do have another question if you have the time. 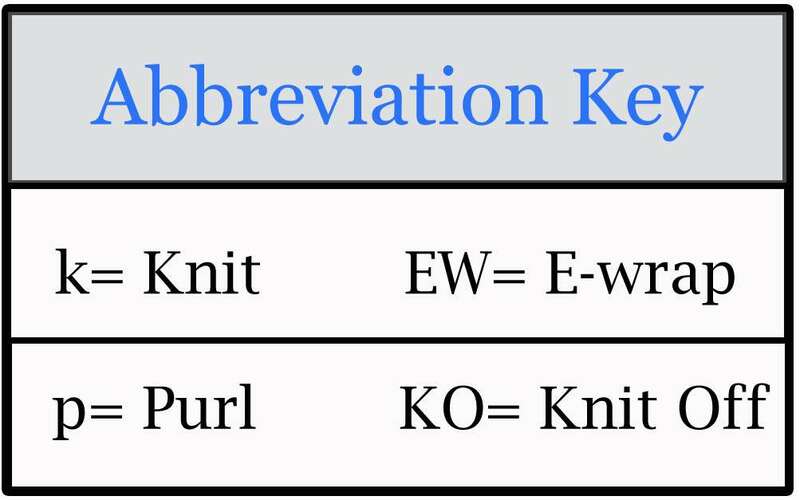 Do you know if it is possible to do a K1b “knit one below” on a loom, such as in a beehive Waffle stitch. If so would be willing to do a post on it in a future Stitchology . 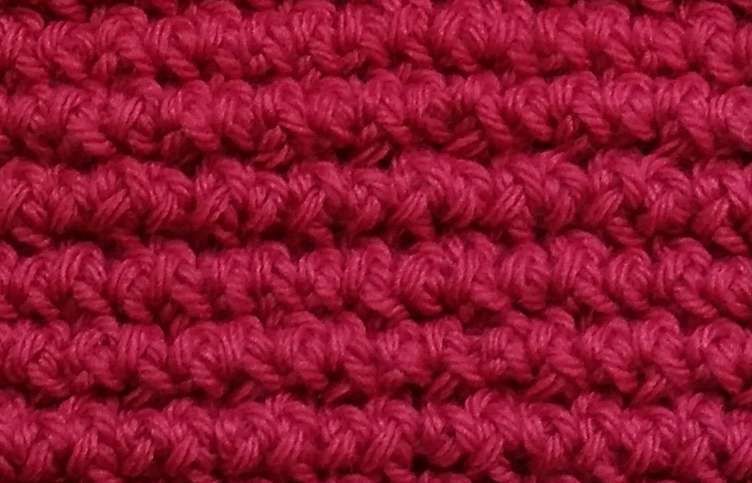 This is very interesting that you ask about a waffle stitch, as I’m currently working on my own version of this kind of stitch for June. It might not be what you’re thinking of exactly, but I think you’ll like it. 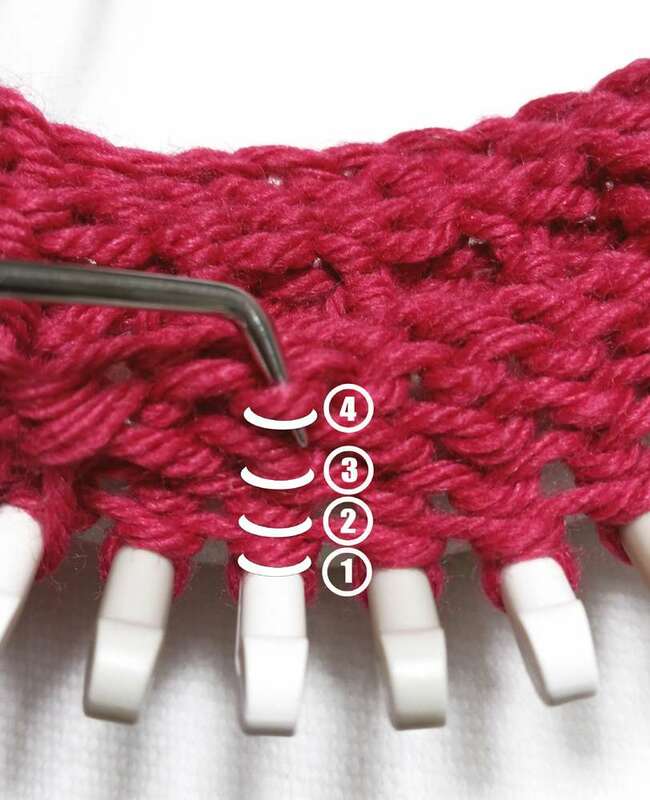 As to working a K1b, I believe you would just lift the loop that is lying directly behind the peg that you’ll be working your K1b on (the previous row’s knit stitch) and bring it back up onto the peg. You would then knit those two loops as one. I’m pretty sure this should come out the way you would need. I’ll have to try this myself and see if we can’t do some new stitches using this! I will give this a try. I have convinced my son to take some pictures for me of the “samples” that I am making once I get something I like I will send you a picture link. Looking forward to the June post.